With Talkshawk 30 Second, customer call call to any network in Pakistan for as low as 75 Paisa per 30 seconds. The best thing about this package is that you can add International numbers to your Friends and Family and enjoy the local calling rates i.e. 75 paisas per 30 seconds. You can add Local or mobile numbers of America, Canda, and England to your FnF list. Rs. 2+tax will be charged. Free 5 minutes after 5 minutes call to all Telenor FnF numbers. 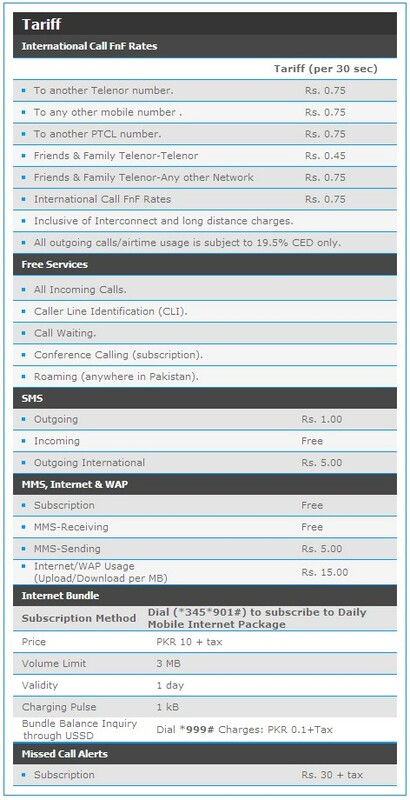 Telenor to International numbers (USA (L/M), Canada (L/M) and UK (L), China (L/M), Singapore (L/M), Spain (L), Hong Kong (M) only) Friends & Family rate is Rs 0.75 per 30 seconds. Telenor to Telenor Friends & Family rate is Rs. 0.45 per 30 second. Telenor to all other networks Friends & Family rate is Rs. 0.75 per 30 second. One Response to "Telenor Packages: Talkshawk 30 Second"